Somehow, balsamic vinegar just works with strawberries by bringing out the sweetness. Prep 1 lb of strawberries by hulling and slicing. Mix with 1 tablespoon sugar and stir. Let stand for 10-15 minutes. 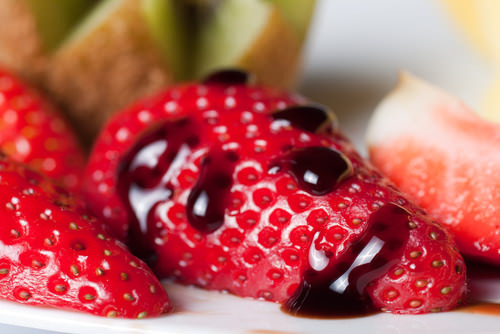 Drizzle 1 tablespoon balsamic vinegar over strawberries and stir again. Refrigerate for an hour before serving.